The outcome of constructing an ediscovery practice often ends up resembling Frankenstein — a combination of disparate parts that work independently but create a bit of a mess when combined. The ‘monster’ ends up being too complex and inefficient, or isn’t built to adapt to the changing ecosystem. It’s simple enough to utilize a best practice tip here or there, or implement a new business tool, but unless your in-house legal department is approaching ediscovery holistically, you may end up with a Frankenstein. Ultimately designing ediscovery practice boils down to three main considerations: 1) What is the long term vision for legal department operations; 2) Which practices should be implemented to best achieve department and company-wide goals; and 3) Which tools best help you implement those practices? Consideration of these core questions is what drives this year’s PREX, the ediscovery conference specifically orchestrated for in-house legal teams. While some topical conferences function more as product user groups, PREX takes an agnostic approach. 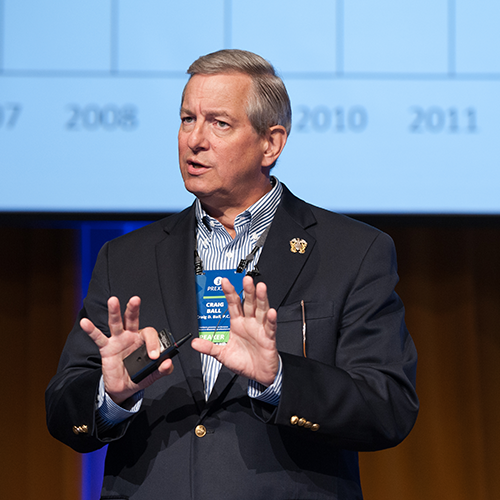 The two-day event draws sensible lines between the scalability and adaptability needed for longer term business goals, and the day-to-day processes and technology tools that shape current practice. PREX’s session content addresses the concerns of all ediscovery-facing roles, including department leaders, general counsel, paralegals, and IT professionals, tying actionable strategies together to establish a viable framework for today’s obstacles and tomorrow’s curveballs. The PREX team focused 2018 session content on the three main considerations — Vision, Practices, and Tools — reflected in our Big Picture, Best Practices, and Tech tracks respectively. The Big Picture gathers thought leaders and corporate experts to focus on the large-scale concerns which will transform legal departments over the next decade. From reevaluating the EDRM to examining the evolving roles within in-house legal teams to assessing cybersecurity response plans, this track delivers informed projections on the factors shaping our industry future. efficiency, including an assessment of corporate litigation readiness plans, how to construct a sensible in-house/outsource policy, and expert instruction in our ‘Culling Academy’ on how to better your first pass processing and review. Rounding out the offerings, the Tech track is concerned with how to make sure teams are choosing the right tools for their particular needs, and how to get the best out of those tools. Whether you need to know where the ediscovery gaps are in Office 365 or how to collect data from collaboration platforms like Slack, we have you covered. 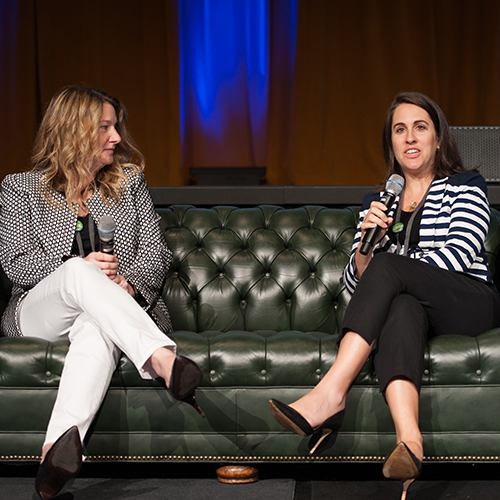 Regardless of whether you follow one track throughout the conference or mix and match, our ‘Wrap Session’ will sew all the lessons learned together so that you can return to the office with a clear roadmap for applying what you learned. 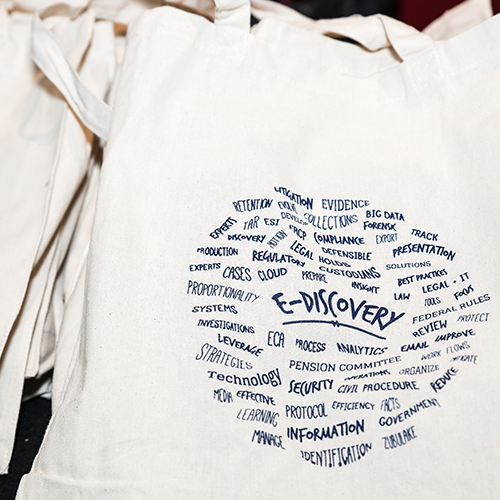 Just as ediscovery evolves, so do the ways we explore it. 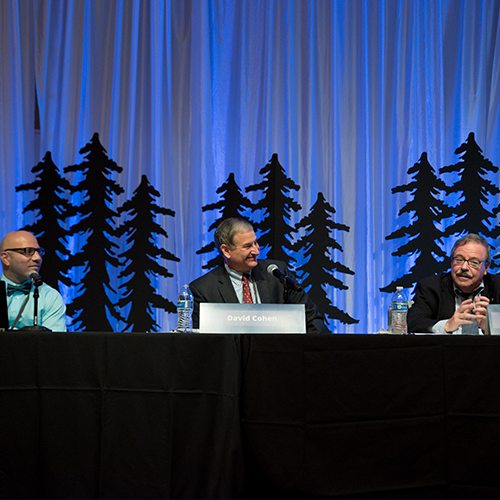 PREX is experimenting with a number of new formats this year, including audience Q&As with our esteemed judges’ panel, interactive evaluations of legal hold response rates, and TEDx-style presentations from subject matter experts. We’re even ending our program with a rapid-fire series of topical debates — with the audience as the judge. Litigation, the Honorable Paul Grewal, will reflect on the impact of social media on justice and society. Linda Starr, Executive Director of the Northern California Innocence Project, and Obie Anthony III, Founder of the Exonerated Nation Nonprofit Organization, will illuminate the flaws in our criminal justice system, exploring ideas to help future reform. This collection of authorities are sure to offer penetrating insights and learned perspectives relevant to our lives and our work. In constructing PREX holistically for 2018, we want attendees to derive clear, resonating value from their participation. In order to build a better ediscovery ‘monster,’ our goal is to ensure everyone heads home with a sensible plan tailored to the unique needs of all in-house team members. We’re excited to have you join us this September. Learn more at PREXConference.com.